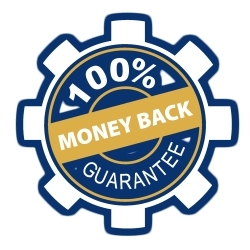 Chico, CA, February 06, 2018 –(PR.com)– RV Rental Connection, an international award-winning advertising website for all RV rental companies and individual RV rental owners, announces its 100% Money Back Guarantee as a follow-up for all RV rental advertisers who take advantage of the company’s 90-Day Free Trial RV rental listings in 2018. RVRentalConnection.com takes no percentages from RV owner rental income. There are no booking fees for renters, no membership contracts for RV listings, cancellation is always easy and RV rental owners can try the website absolutely free for 90 days, and then move over to a month-to-month low subscription rate of $14.95 per month, per RV rental unit, which is then backed with a 100% Money Back Guarantee. The company’s award-winning CEO, Bonnie Worthington believes in empowering RV rental owners to run their RV rental businesses without having to share their RV rental income with the website they advertise on. All RV rental owners who advertise their motorhomes and travel trailers with RV Rental Connection get to take advantage of their popular international peer-to-peer advertising marketplace and multiple free membership perks that come with each RV rental listing. At RV Rental Connection, our achievements and motivations are measured solely by the smiles and lasting memories we help others create, not by a bottom line. Our RV owners who list their RV’s with us have the opportunity to share in our vision, to make new friends with each individual and family they rent an RV to, and become a significant part of the lives of others by helping them make lasting memories through the RV rental experience. It is our mission to contribute the well-being and long-term success of others. At RV Rental Connection, our company name is all about what we do: Connecting others in a positive way through RV Rentals. That is why RV Rental Connection remains a Better Business Bureau “accredited business” with an outstanding A+ rating.